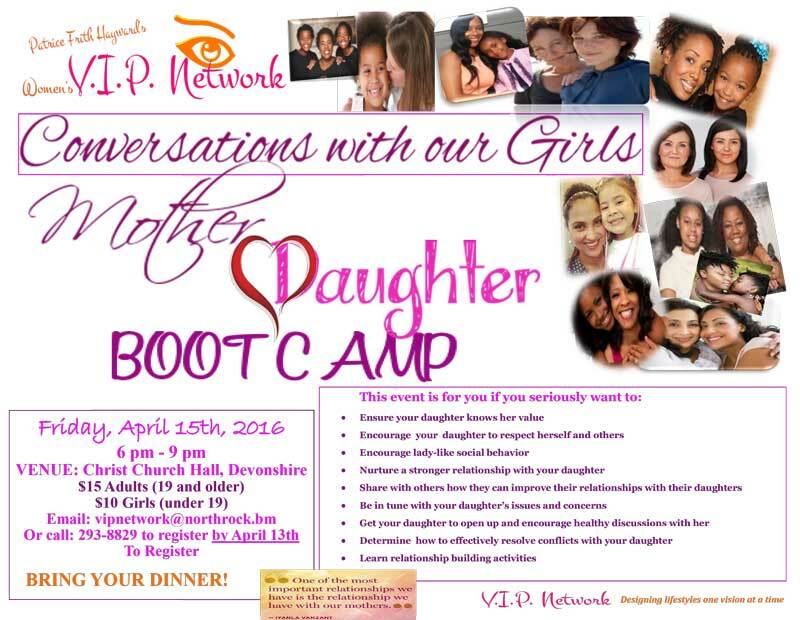 The Women’s VIP Network is getting set to hold ‘Conversations With Our Girls,’ a mother/daughter boot camp aimed at encouraging positive values. The event will be held on Friday, April 15 from 6.00pm to 9.00pm at Christ Church Hall in Devonshire at a cost of $15 for adults and $10 for girls under 19. For more information, email vipnetwork@northrock.bm or call 293-8829. Is this the first of its kind? Why the cover charge?